Great for your Flamingo Themed Classroom decor. 2 different colors of pink letters or do your own message. Editable. 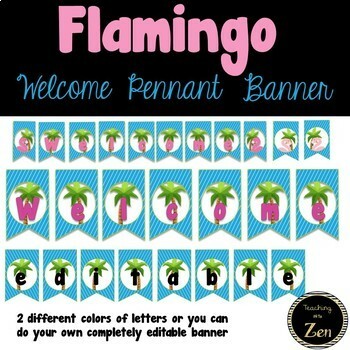 You might like some of my other Flamingo and Troopical Themed class decor.